My husband is a big fan of BBQ. 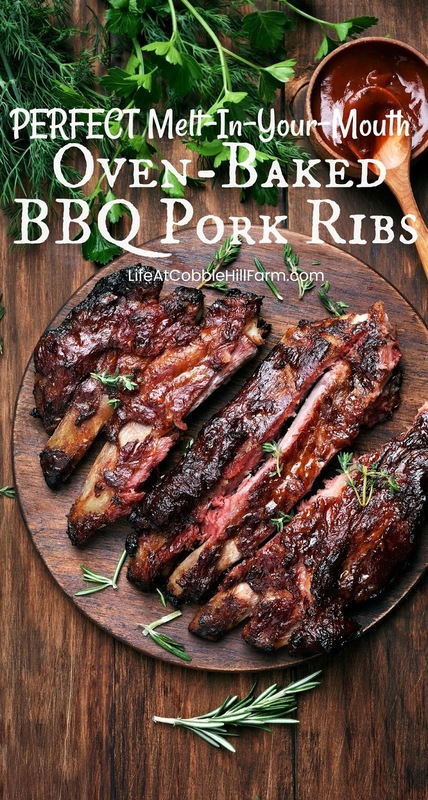 He loves meat that has that smoky flavor, is drenched in BBQ sauce, and features a savory rub. Here's the thing......I don't have a smoker, I have no idea how to use a smoker, and I have no desire to ever own a smoker. So, I needed to create a delicious pork rib that wasn't a smoked rib, but an incredible BBQ rib. A melt-in-your-mouth rib that you crave. So I found a few recipes and none of them were THE rib. They were too dry, or didn't have enough flavor, or weren't crispy, etc. So I used those recipes as a starting point to figure out what worked well and what did not, and then created this one. The best thing is that it's sooooooo easy! It doesn't take much work at all and within 2 hours, dinner is served. And you're a hero. Preheat oven to 375 degrees fahrenheit. Prep the ribs by peeling off tough membrane that covers the bony side of the ribs. 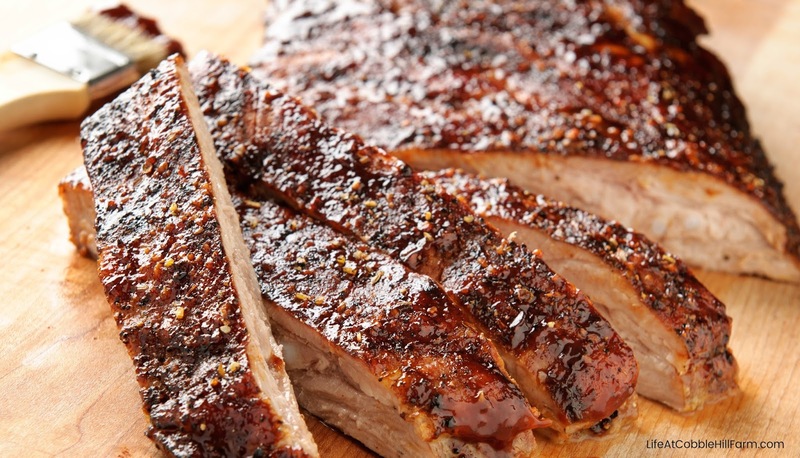 With clean hands, apply rub to ribs on all sides, massaging it into the meat. Line a roasting pan with aluminum foil (to make clean-up easier). Spray the roasting rack lightly with non-stick spray and lay ribs, meaty side down, on the rack in the roasting pan. Put 1/2 cup of water in the pan (careful pouring so you don't disturb the rub on the ribs) and seal the pan with 1-2 sheets of aluminum foil. This will allow your ribs to bake in a moist heat. Place roasting pan in oven and bake for 45 minutes. Carefully remove the aluminum foil seal off of the pan, with tongs flip the ribs so they are now meaty side up, and return to the oven for 40 minutes. 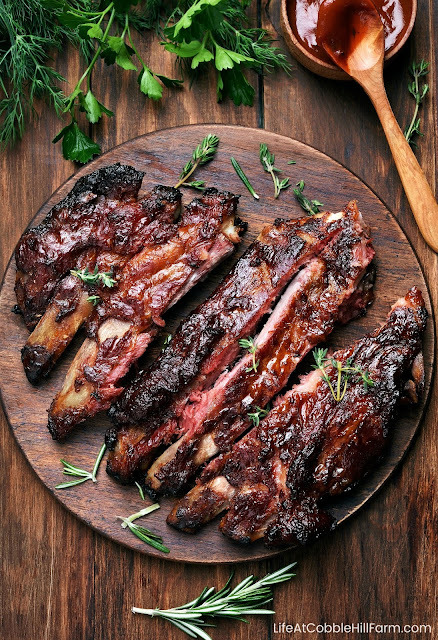 Remove pan from the oven and pour BBQ sauce over the meat, brushing it over the meat evenly. Return to the oven for 15-20 minutes, or until BBQ sauce is cooked on and ribs pull apart easily. We make this Rub mixture in a large quantity and use it not only on pork that we grill or bake but also on chicken. Made these tonight for my husband who is very particular about his ribs. He wa very happy with them! Thanks so much for sharing this recipe! !